2. Add black beans, lemon juice, tahini, cumin, salt and cayenne pepper; process until smooth. 3. Add enough of the reserved liquid (1 tablespoon at a time) from the beans to reach desired consistency, pulsing after each addition. 4. 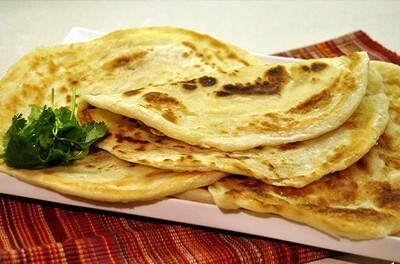 Serve with tortillas, crackers or sliced vegetables. 1. Using a food processor to mix 1 cup of the flour, ½ teaspoon salt and oil. 2. Add 3 tablespoons water and mix well. Gradually add more water, mixing after each addition, until mixture forms a compact ball. If it seems too sticky to handle, add more flour. 3. Sprinkle your work surface (or a baking sheet-sized piece of parchment paper) with some of the remaining flour then press and roll the dough to about 1/8th inch thickness, trying to get it fairly uniform. If the dough is too dry to roll out, return it to the food processor and add a little more water. If necessary to prevent sticking, dust your hands and the rolling pin with a little more flour. 4. Place the rolled-out dough on a baking sheet dusted with a little flour or cornmeal (if you\\\'ve used parchment paper, transfer dough and paper to baking sheet). You can score the dough into pieces of your choice if you like, leaving the dough intact. 5. 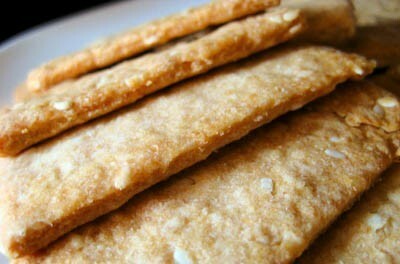 Bake for 10 - 15 minutes in a preheated 400 degree oven, until light brown. 1. Mix flour and salt in a large mixing bowl. 2. Make a hole in flour and using your hand, mix in water to make soft dough. 3. Knead for five minutes, return to the bowl, cover with wet cloth and refrigerate for an hour. 4. Heat a cast iron skillet over medium high heat until very hot. 6. Once turned, press gently with a towel, until brown. 7. Repeat until all dough is used. 1. Place all ingredients into a small bowl. 2. Thoroughly mix with a whisk. 3. 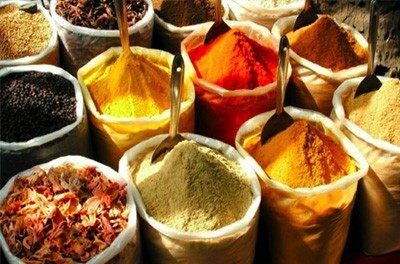 Store your Special Seasoning in an airtight jar or container. 1. Heat the oil in a large heavy pot over high heat. Add the onions, bell peppers, garlic, and bay leaves, and cook, stirring, for 2 minutes. 2. Add the beans and cook for 2 minutes. 3. Add the Special Seasoning and stock, stir well, and bring to a boil. 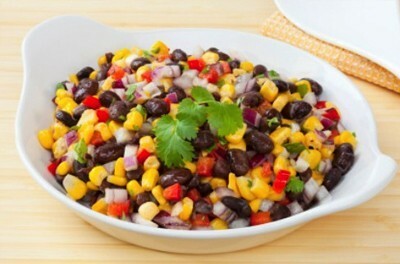 Reduce the heat to medium and cook for 1 1/2 hours, until beans are tender, stirring occasionally. 4. Add the salt and parsley, cover the pot, and cook for 15 minutes. Discard the bay leaves. Remove 1 cup of beans from the pot and reserve. 5. 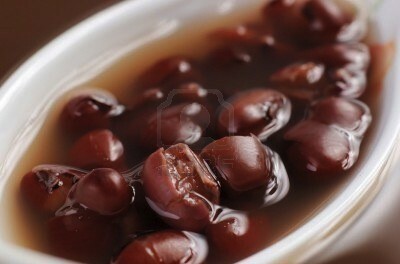 With a hand-held immersion blender, or in batches in a food processor, puree the red beans. Add the reserved beans, and stir well. 6. 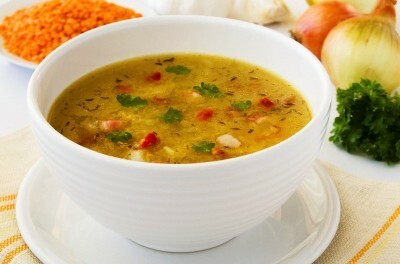 To serve, ladle a generous cup of the soup into each of 6 bowls. 7. 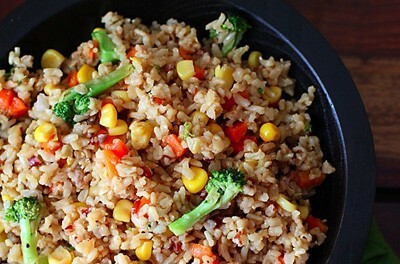 Top each serving with 1/4 cup of the rice and 1 tablespoon of green onions. 1. Lightly brown onions in a hot dry skillet in 2 tablespoons oil. 2. Add oregano and garlic, cook 1 minute. 3. Add 4 cups water and tomatoes. Cook 10 minutes. 4. Add remaining ingredients. Cook covered for 40 minutes, stirring occasionally. 1. Place pine nuts in a small dry skillet over medium-low heat and cook, stirring, untilfragrant and lightly browned, 2 to 4 minutes. 2. Whisk lime juice, oil, cilantro, salt and pepper in a large bowl. Add the corn, pine nuts, beans, cabbage, tomato and onion; toss to coat. Refrigerate until ready to serve. 1. Heat a deep skillet or wok over medium heat for about 1 minute. Add oil and heat for 1 minute. 2. Add green onions and ginger. Sauté for 5 minutes. 3. Add broccoli, green beans, carrots, and garlic. Stir fry for 8-10 minutes. 4. Add greens and toss for about 2 minutes or until greens are wilted. 5. Stir in water chestnuts, brown rice, soy sauce, peas and almonds. 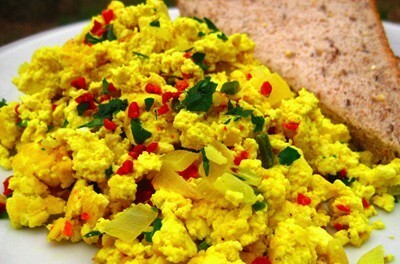 Tip: Serve this dish as a complete main dish along with a side of sliced fruit such as oranges, pineapple or mango. This is also a great recipe to double and then use the leftovers for lunch. Merely heat in the microwave or eat at room temperature. 1. Prepare the brown rice according to package directions so you have enough for 8 servings. 2. Heat the oil in a large pot over medium heat, and cook the onion until tender. 3. Mix in the lentils and garlic, and season with curry powder, cumin, and cayenne pepper. Cook and stir 2 minutes. 4. 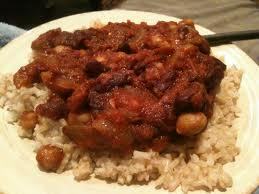 Stir in the tomatoes, garbanzo beans, kidney beans, and raisins. Season with salt and pepper. 5. Reduce heat to low, and simmer at least 1 hour, stirring occasionally. 1. In a 5-qt Dutch oven over medium high heat, sauté onion in liquid of your choice (balsamic vinegar, olive oil, water) until tender, stirring occasionally. 2. Add rice; cook while stirring until parched and slightly opaque. 3. Add beans, tomatoes, chilies and 3 1/2 cups of water to rice and onion in Dutch oven and bring mixture to boil. 4. 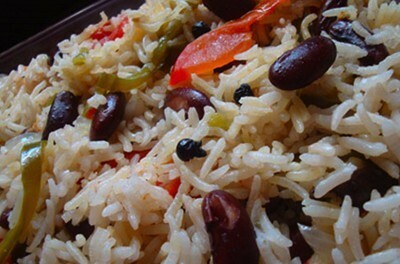 Cover tightly place in oven, baking until rice is tender and liquid is absorbed (around 1 hour for brown rice). 5. Add peas and corn, adjust seasonings, and return to oven until heated through. 2. 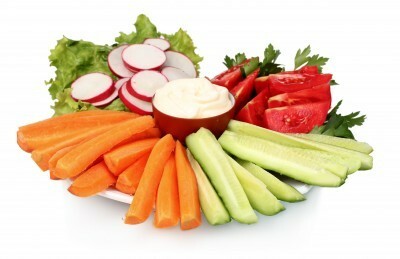 Add all ingredients and fry until vegetables are soft and ready to eat. 1. In a large skillet, heat the olive oil over medium heat. Add the onion and the white part of the green onions and sauté for 2 to 3 minutes. 2. Add the garlic and heat for another 30 seconds. 3. Increase the heat to medium-high and add the potatoes, 1 tsp. of the salt, and 1/4 tsp. of the pepper. Cook for 10 to 15 minutes, flipping the potatoes regularly until they are well-browned. 4. 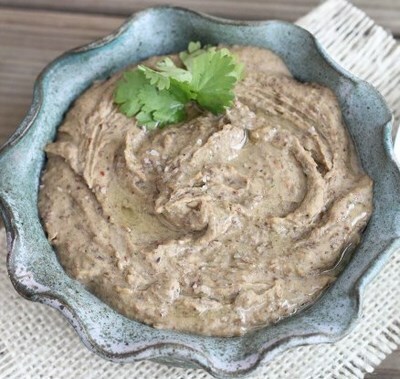 Blend the remaining salt and pepper, the tofu, and soy sauce in a food processor until they are creamy. 5. Pour creamy mixture and the green part of the green onions over the fried potatoes and mix. Pour this mixture into a large, oiled pie or tart pan. 6. Bake for 30 to 40 minutes or until the center is firm. 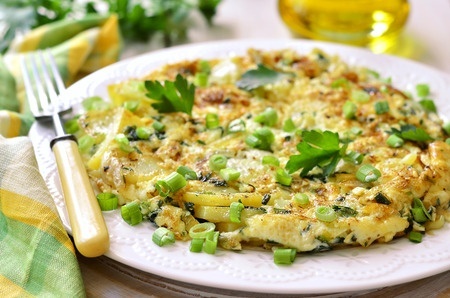 Allow the frittata to cool for 10 minutes then invert onto a serving plate. 1. In a 2 quarts sauce pan over high heat, bring the water to a boil. Stir in the oat bran and allow water to return to a boil. 2. 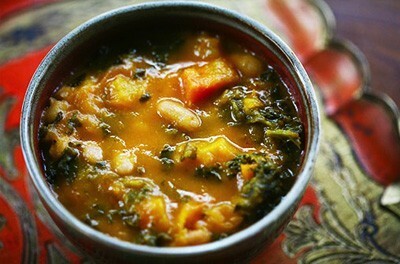 Reduce heat to low and cook for two minutes - stirring often. 3. After two minutes, turn off heat. Stir in the apple, raisins, and spices. Let stand until apple pieces soften - about 5 minutes - stirring occasionally. 4. 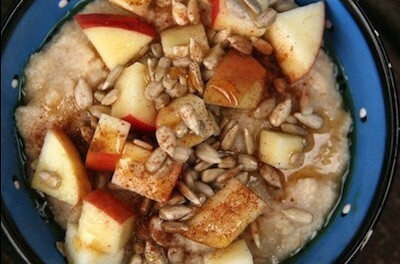 Divide hot cereal evenly among 4 bowls. Serve with the soy milk if desired. 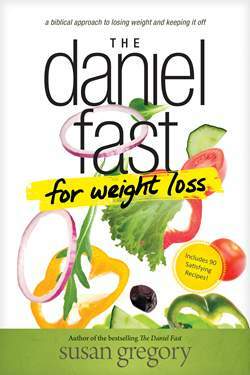 Register for the Daniel Fast for Weight Loss Bible Study, plus receive valuable materials to develop your faith and draw nearer to God. Join the Bible Study Now! You have registered for the study. Please check your email inbox.